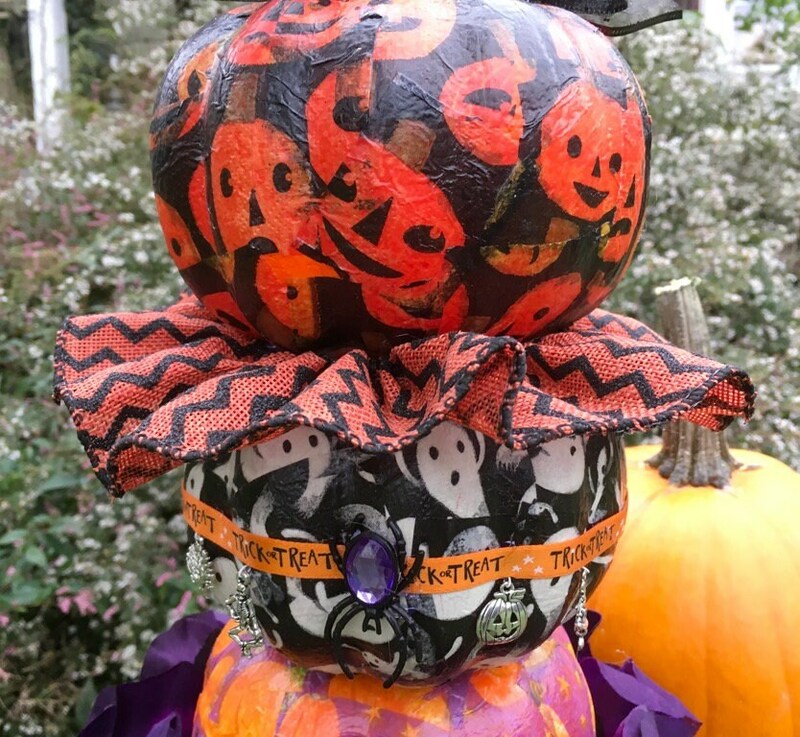 topiary of 3 stacked decorated halloween holiday pumpkins paper decoupage on tin cemetery planter charms ribbon and more! Halloween! It is so much fun to decorate for this time of year! You can be over the top and crazy and no one holds it against you. That is what inspired me to go a bit overboard on this pumpkin topiary with lots off decorative details. 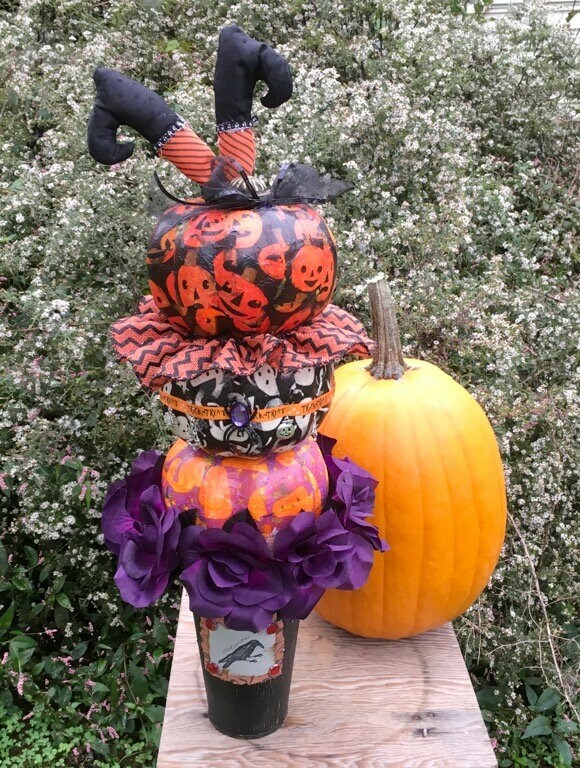 This topiary features 3 styrofoam pumpkins covered in paper decoupage. 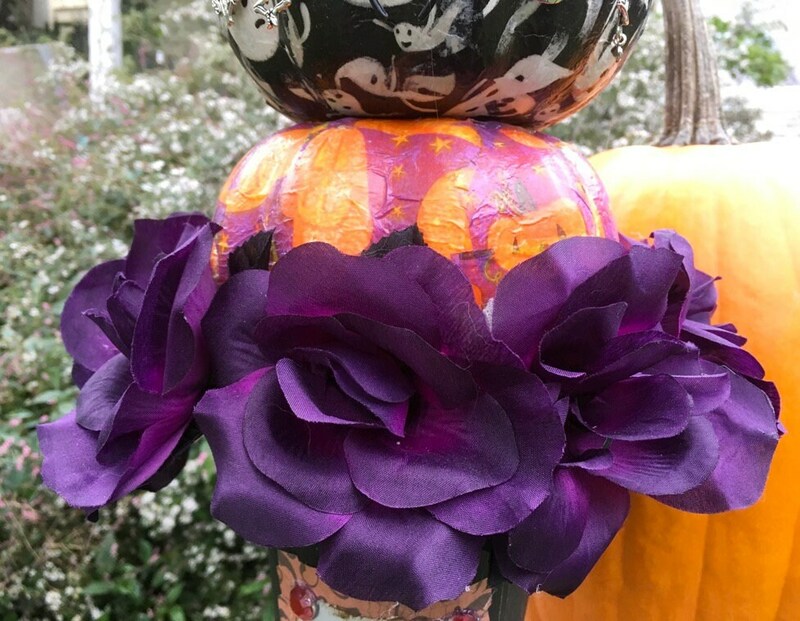 I used purple roses, trick or treat wired chevron ribbon, gemmed spider, and silver charms as elements in the design. A witch has crashed into the top pumpkin! 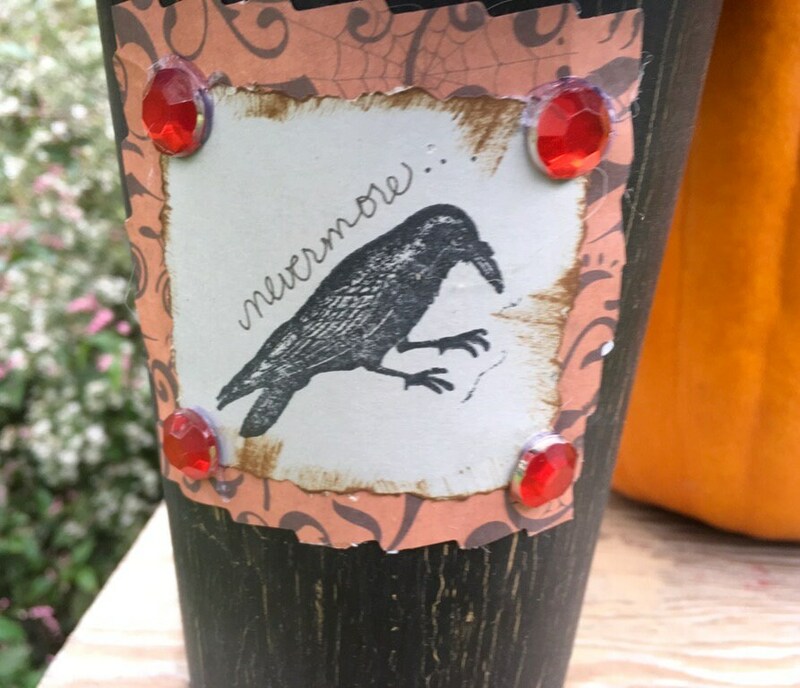 The trio sits on a tin cemetery vase which has been chalk painted, crackle and distressed. 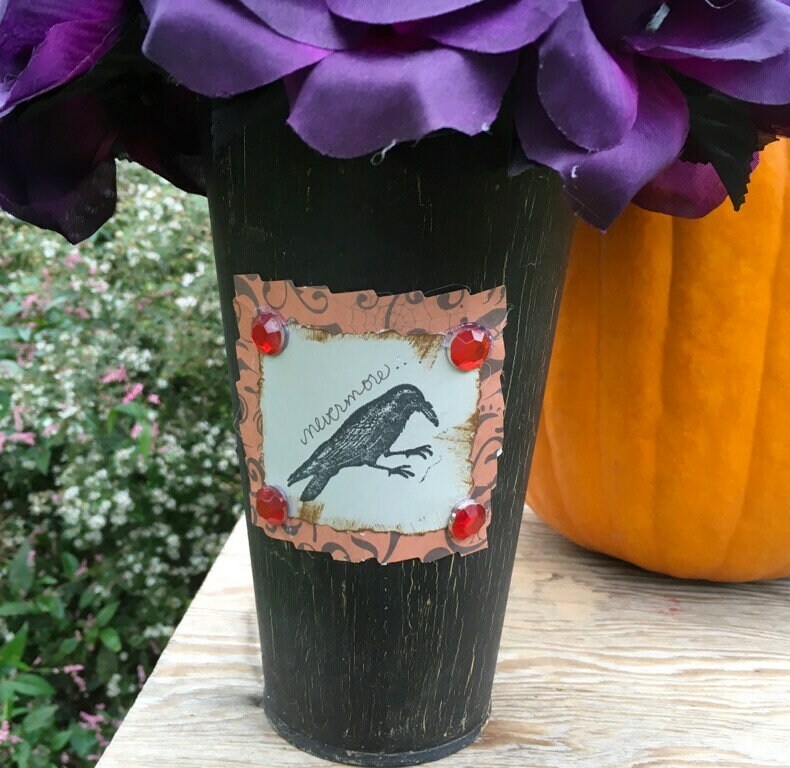 A hand stamped tag decorates the urn . . . Nevermore! . . .This Was so much fun to create. 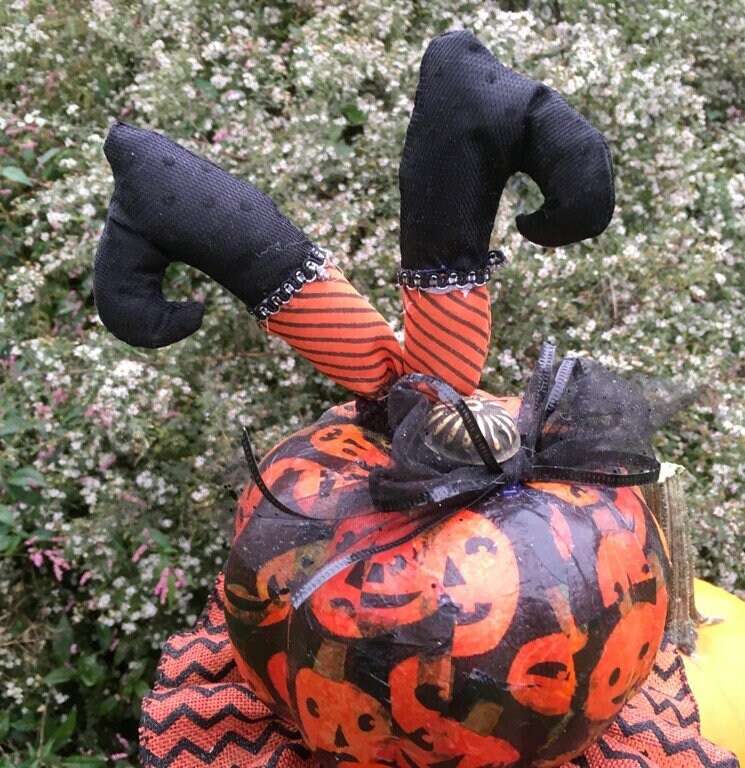 I just couldn’t stop so visit my shop for more pumpkin topiaries!